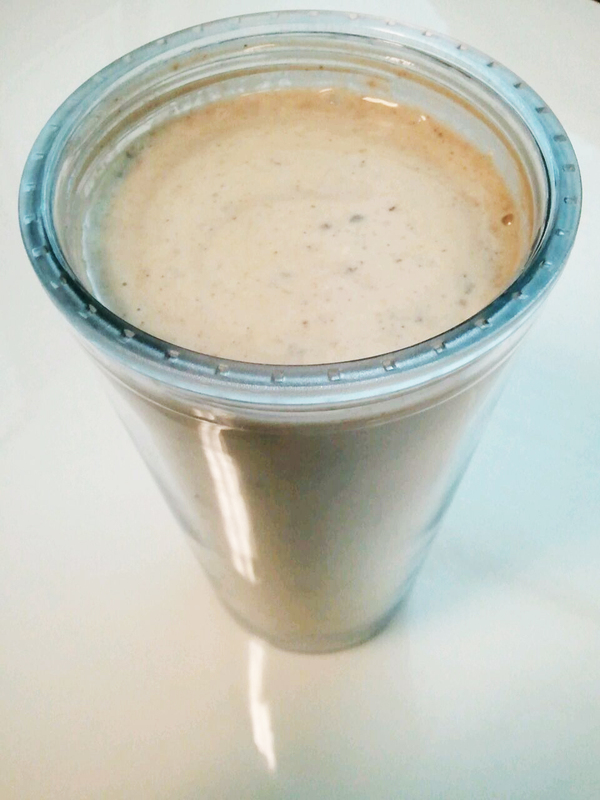 Peanut Butter-Oatmeal Smoothie with Banana or Apple | This Girl’s Gotta Eat! I eat two snacks a day, one in between breakfast and lunch, and another in between lunch and dinner. And one of them always involves peanut butter. Wanted to switch it up, so decided to try turning my go-to snack into a smoothie…which is filling and tasty! Love that I can make this the night before and grab-n-go the next day, a great time-saver! Pulse the oats and flaxseed in a blender or food processor until you get the consistency of a powder. Then add everything else and blend until smooth. Enjoy right away, or store overnight in a sealed travel mug to grab-n-go the next day.